Held out for a Cyber Monday gaming laptop deal? Now they're here. There's basically no better time to score an awesome gaming laptop than Cyber Monday. Here are all the laptop deals we could find that are worth considering. If you can find a deal on one of our best gaming laptop picks, even better! We're fans of MSI's gaming laptops. They're top notch and are highly rated. Right now our favorite is the 17-inch MSI GE72VR Apache Pro. It's got a GTX 1060, a Core i7 6700HQ, a 256GB SSD and a 1TB HDD. If you want a great gaming laptop, get it while it's hot at $1329 on Newegg. 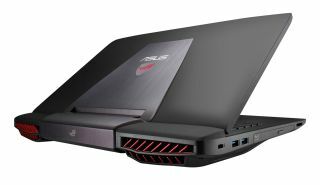 We also found this Asus GL752VW-DH71 17.3-inch ROG laptop with a GTX 980M on sale for a whopping 41 percent off, bringing the price to just shy of $1000 on Newegg. It's a killer deal, but only available today. Grab it while you can.